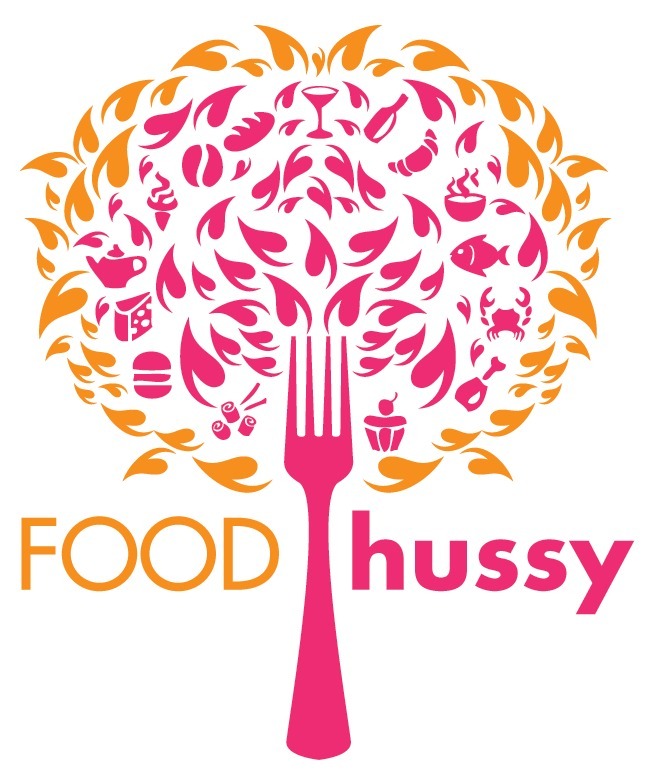 Food Hussy Recipe: Copycat Ruby Slipper Buttermilk Biscuits | The Food Hussy! 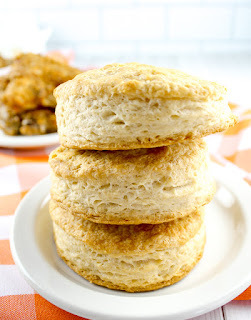 I'm completely comfortable admitting that I've become biscuit-obsessed! There's my fav restaurant - Boomtown Biscuits, my favorite biscuits and gravy breakfast in Cincinnati and now - pretty much my entire trip to Gulf Shores! One of the highlights of the trip was our visit to Ruby Slipper Cafe! 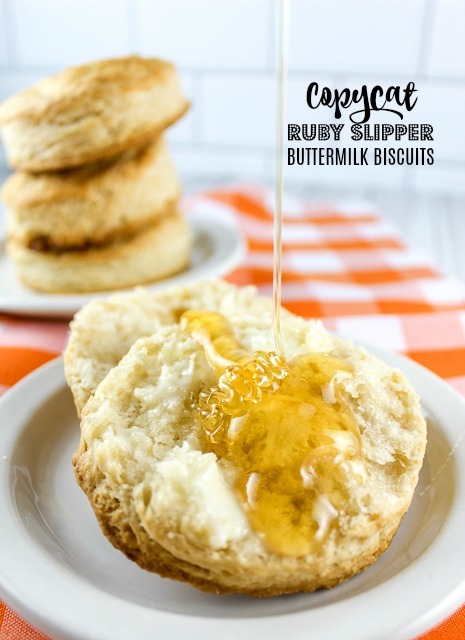 Ruby Slipper originated in New Orleans but is quickly expanding across the south and they know their biscuits! They top them with everything you can think of - but before you can top the biscuit - you need to perfect it! I think they've done an amazing job and I have to say what I loved most was how simple this recipe is! It's 3 ingredients! THREE! The recipe they gave us made like a million biscuits - oye - I'm a single lady - I don't need that many! So I cut this down and it made 6 biscuits which was perfect for me and a friend to have dinner and a couple left over for breakfast! 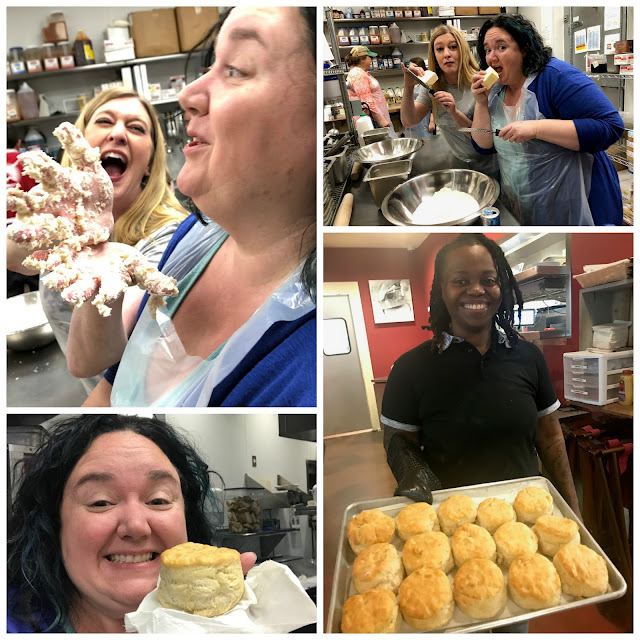 The kind folks at Ruby Slipper invited us to a biscuit-making class and we had a blast!!! Here's some shots of my girl Plain Chicken really enjoying shoving her sticky dough-hands in my face! Look at those amazing biscuits!!! And yes - we're eating straight butter - duh! So when I made the biscuits at home - they didn't come out quite as high - but my friend said it's partly because when I cut them out - I twisted the cutter. You should just cut down and pull up - no twisting! Who knew - but she's convinced it affects the height of the biscuit. Even though they weren't quite as tall - they were JUST as delicious!!! We thoroughly enjoyed these biscuits - they were buttery, with a touch of salt and delicious! 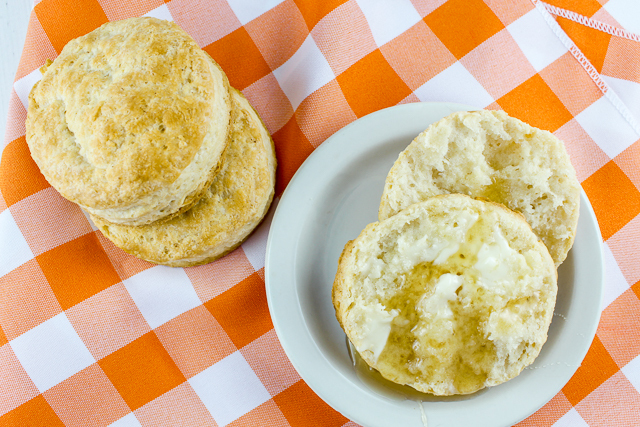 Making the biscuits is super simple - the key is having your butter FROZEN and grating it. If it starts to warm up - put it back in the freezer! 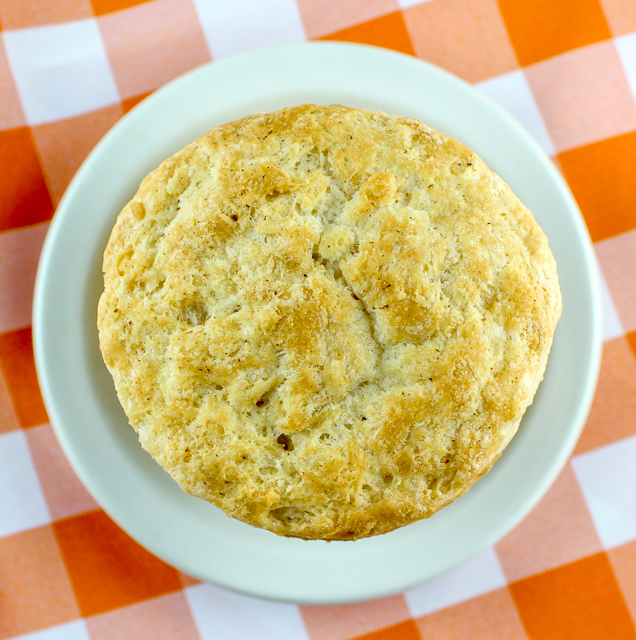 On a recent visit to Gulf Shores, we discovered Ruby Slipper Cafe and have been biscuit-obsessed ever since! We even got to make some of their famous biscuits and take home the recipe! Mix with hands until tacky (see photos) - should still be "wet"
Light dust counter with flour and roll out dough - Do not over work the dough! If not golden on top - broil on low for 1 minute - but WATCH CLOSELY! Air Fryer Instructions: Bake at 350 for 16 minutes - they were even fluffier! Looks delicious!! You can't beat homemade biscuits! Nice job on WXIX today. Now I want cheese and biscuits. Hahaha - who wouldn't want cheese & biscuits!